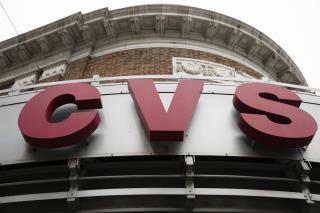 (Newser) – It's another story with a familiar theme: CVS has apologized after a manager in Chicago called the police over a black woman's coupon. The Chicago Sun-Times reports that Camilla Hudson was trying to use a manufacturer's coupon at checkout, and the manager on duty apparently concluded that she was trying to scam the store with a fake coupon. Hudson, who posted video of the incident, says she asked the workers to call corporate CVS to straighten things out, but instead one of them called 911, reports WLS-TV. At least two officers arrived, but "nobody generated a report," police tell BuzzFeed. It's open season on my deranged, rabidly racist supporters. They can't even call the cops for no reason on black people anymore without being destroyed by the snowflake liberals. It's on outrage. We need to take our country back! (to the 1920s). Trumpsters are such trump ups. What the hell is wrong with certain white people? I can't they just answer a question about a coupon? Or call management or corporate? Why call the cops?